Far away, in a land that glistens white as snow, Princess Snowbelle is preparing to sing at tonight's annual winter ball and she's a little bit nervous! Luckily her pet cat Sparks and best friend Sparkleshine will be there to help. But it looks like there's a snowstorm on the way - what if Sparkleshine can't find her way through the enchanted forest? Princess Snowbelle, and her pony Icetail, are on their way to help! 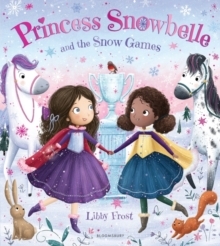 A wonderful, wintry, snow-covered tale of friendship and courage. 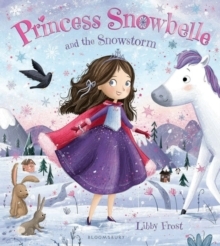 Princess Snowbelle is perfect for little princesses everywhere! Publishing just after the beautiful new activity book range - it's a winter wonderland!